It helps to learn a little Swedish history to understand the life and work of Johan Printz. Sweden during Johan Printz’s lifetime was a powerful country ruled by King Gustavus Adolphus. The King wanted to establish a settlement in the New World, and to trade with the people who lived there. Both the Dutch and the English had established settlements there already. King Gustavus Adolphus signed a charter for a trading company on June 6, 1626. Its goal was to settle “unoccupied ground,” begin a Swedish colony, and bring the Protestant religion to America. When the king died at the battle of Lutzen in 1632, the project stalled. Queen Christina was the next ruler of Sweden. She became Queen when she was six years old. Five men ran her government because she was so young. One of them was named Count Axel Oxenstierna. The Count was interested in setting up a colony in the New World, and in trading Swedish copper with the West Indies. Count Oxenstierna made an agreement to set up a company to establish a settlement along the Delaware River and name it New Sweden. In 1637 Peter Minuit led an expedition to America. Minuit had worked for the Dutch West India Company, and was the General Director of New Netherland for seven years, so he knew the New World. Minuit took two ships, the Kalmar Nycel [Key of Colmar] and the Fogel Grip [Flying Griffin]. He and his crew reached the Minquas River in March 1638, and re-named it the Christina River after the Swedish Queen. Peter Minuit bought some land along the Christina River from five Native American chiefs. He built a fort on land where Wilmington, Delaware is located today. He named it Fort Christina. Peter Minuit was the first governor of New Sweden. Peter Minuit was lost in a storm at sea. Sweden sent a new governor, Peter Ridder [sometimes called Peter Hollander] on the Kalmar Nykel. He and a group of settlers arrived in New Sweden on April 17, 1640. Ridder continued the trading and building, and bought more land from the Native Americans. In 1642 Sweden decided it needed a stronger governor in New Sweden. Johan Printz was chosen. Johan Printz was born in Bottnaryd, Sweden in 1592. His father was a Lutheran minister. Johan’s family hoped that he would be a minister, too. They gave him the best education, but ran out of money before he could finish his studies. After one year of religious study, he had to stop going to school. He was 26 years old. Johan entered the army and served under the Swedish King, Gustavus Adolphus. He was with the King’s army when they were fighting in Poland. During the Thirty Year’s War Colonel Printz was the commander of the West Gotha Cavalry. He was in the military for over 20 years. In the 1640 battle of Chemnitz he had his men retreat when they should have attacked. He was removed from his position in the army. Talk calmly with people from the Dutch West India Company. Tell them that we want to trade in peace. Only fight if the Dutch attack you. Keep peace with all people, including English settlers and the native peoples. Treat the Native Americans with humanity and respect. Sell them what they need, at a lower price than the Dutch are charging, so that they will be our friends. Tell them about Christianity. Grow tobacco, herd cattle and sheep. Trade beaver and other pelts with the Native Americans. Follow Swedish law whenever possible. When a decision must be made, the Governor has absolute authority. Johan Printz will be governor for three years. Johan Printz was a very large man. He was at least 6 feet tall. [Some sources say that he was 7 feet tall.] He weighed over 400 pounds. The new Governor had a lot of energy and knew how to get things done. Sometimes he was hotheaded. Sometimes he was pompous. The Native Americans called him "Big Tub." The Governor got to work right away. He surveyed the land up and down the river that Sweden had bought from the Native people. He made plans for what needed to be done. He met with the Native Americans in May of 1643. He gave them gifts, and traded wampum for Indian corn. Governor Printz treated the Native Americans with respect, but did not trust them. Governor Printz did not like the location of Fort Christina, because it did not control ships passing up and down the river. To improve defense, he had two forts built. One was Fort Elfsborg, and the other was New Korsholm. Fort Christina was also repaired in 1643. Johan Printz chose an island in the Delaware River for another new fort. The Native Americans called the island Tenacong. The settlers called it Tinicum. Printz felt that this location had better control of the river. Today the area is called Essington, and is located just south of the Philadelphia International Airport. The new fort was named New Gottenburg. It was built of hemlock logs, on the high point of Tinicum Island. There were 4 brass canon pointing toward the river. It was probably finished in August of 1643. Johan Printz also built a home for himself and his family on Tinicum Island. He named it Printzhof (Printz Hall.) It was built of wood, probably white cedar trees from the island. It stood two stories high, and was designed so that it could be defended if necessary. The wood for the rooms inside was brought from Sweden on the Fama. Small yellow bricks also were brought from Sweden, and they were used to build ovens and fireplaces. Glass windows were installed, with glass brought from Sweden. The house was very luxurious and well furnished, with a library of 200 books. An orchard, a pleasure house and a storage house were also established. There were rooms for offices, and a place for court to be held. A log church was built on Tinicum Island, with a separate belfry. A bell, brought over on the Fama, hung in the belfry. Settlers had been growing wheat, barley and corn since the time of Peter Minuit. In 1644 Governor Printz had the farmers experiment with growing tobacco. The crop was not a good one. In 1645 the farmers went back to growing corn. After that, if they wanted tobacco, they bought it from Virginia. There was not much food in 1643. Many settlers were sick that fall. The Fama brought supplies in March of 1644. Then there was more to eat. The crops in 1645 were good. Everything went well until December. On November 25, 1645, Sven Vass, who was a gunner, was on watch in the New Gottenberg fort. He fell asleep, and left his candle burning. It set fire to the fort between 10 and 11 o’clock at night. The chest holding the gunpowder caught fire, and exploded. The fort and Printz House burned, along with the storehouse and the church. Only the barn was left. Since the river was frozen, no help could get to the settlers on Tinicum Island until March. Much building was done in 1646. Printzhof and the fort were rebuilt. The Governor had a new watermill built in a place called Mondal. The water mill ran a grist mill for grinding wheat into flour. A new log church was built on Tinicum Island. It had a belfry and a clapboard roof. The church bell, saved from the fire, hung in the belfry. Rev. Johan Campanius dedicated the church on September 4, 1646. Because the people of New Sweden treated the Native Americans with courtesy and respect, the two groups got along well. The problem was with the Dutch and the English. Both the English and the Dutch felt that they had the right to live and trade in the area, because they were there first. The Swedes felt that they had the right to the land because they had bought it from the Native Americans, and had built a permanent settlement. Governor Printz tried to keep friendly relations with both the English and the Dutch. English people who were living on Swedish land were not told to leave, but were encouraged to be part of the community. The Governor of the Dutch colony of New Netherlands was named Governor Kieft. Governor Kieft and Governor Printz were friendly. Even though the Swedes wanted to trade with the Native Americans, they had only brought small amounts of goods to trade on the Fama and the Svanen. As a result, the Dutch and the English got to do most of the trading with the local people. In March 1644 the Fama returned to the colony with a large load of trade goods. Now that the Swedes had goods to trade, they traded well, and were able to send the Fama back to Sweden with a load of skins and tobacco. Along with these goods, Governor Printz sent a strong request for one thousand more men, and more supplies. No more ships came from Sweden until October 1646. Then the Gyllene Haj (The Golden Shark) arrived with a large cargo. There were supplies for the colonists, and goods to trade with the Native Americans. The people had a day of thanksgiving. Governor Printz expected that he would be able to return to Sweden, since he had worked for three years. The Swedish government told him to stay on, because they could not find a person to replace him. The Governor was upset, but accepted the order. At that time there were 183 people in the colony. The Svanen arrived in January 1648 with a large cargo of trade goods. Once again, the Governor expected to be called home, but he was ordered to stay in New Sweden. Another ship, the Katt (Cat) was sent from Sweden, but it was shipwrecked and never arrived in New Sweden. In 1647 he Dutch colony of New Netherlands got a new Director General. His name was Peter Stuyvesant. He felt that the Dutch needed to be more aggressive toward the Swedish colony. The Dutch built a new fort, Fort Beversrede, on the Schuylkill River. Some Dutch settlers planted fruit trees. The Swedes chopped them down. When a Dutch settler built a cabin, the governor’s son, Gustav Printz, tore it down. Then Governor Printz had a large house built between Fort Beversrede and the river, which blocked the fort from the river. Peter Stuyvesant bought the land along the Delaware from the Native Americans. The Swedes already had bought this land, and Governor Printz sent a copy of the deed to Stuyvesant to prove his claim. Stuyvesant ignored him, and built a fort called Fort Casimir. This fort now controlled the river. Governor Printz realized that he could not overcome the Dutch. He abandoned Fort Elfsborg and some other forts, and gathered all of his forces closer together. There had been no word or help from Sweden for over three years. In 1652 heavy rains damaged the crops, and the people were in need. There were no items to trade with the Native Americans. Governor Printz sent for help, but received no answer. Some of the colonists became unhappy and deserted the settlement. The word of the Governor was the law. Governor Printz accused a farmer named Lars Svensson and his wife of witchcraft. He also said that they owed him money. He took their plantation for himself, and renamed it Printztorp. Lars Svensson and his wife died. This angered many people. By the fall of 1653, things were so bad that 22 men signed a petition to Governor Printz listing their complaints. 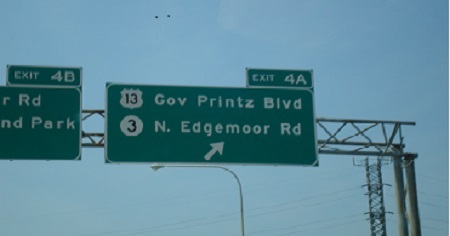 This made Governor Printz furious. He had the leader of the group arrested, tried him in court, and executed him. This was the only execution ever to happen in the colony. 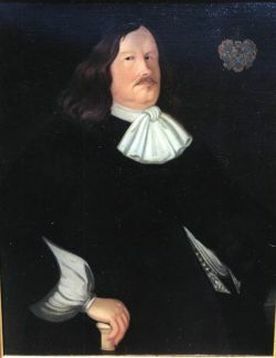 That fall of 1653, Johan Printz decided that he could no longer be governor. He met with the Native Americans at Printzhof in September, and said goodbye with speeches and gifts. He told them that when he returned to Sweden he would be sure that new supplies were sent. Johan Printz had a daughter whose name was Armegot. She had married a man named Johan Papegoja in 1644. Printz made Johan Papegoja the new governor. Johan Printz arrived back in Sweden in 1654. He settled on an estate called Gunillaberg, not far from where he was born. He spent the next three years without a job. In 1658 he was appointed Governor of Jonkoping County in Sweden. In the spring of 1663 Johan Printz was traveling from his estate. He was thrown from his horse and badly injured. He died on May 3, 1663, at the age of 71 years. Governor Printz Park is located at 2nd Street and Taylor Ave, Essington. Essex House, at 102 Penn St. Chester, is the location of Printztorp. The Church Bell: an interesting story. When the first church was built on Tinicum Island, a bell was put in its belfry, which had come from Sweden on the Fama. The bell, along with the font and the altar, were all that were saved from the fire that burned the church in 1645. The bell was hung again in the new church built in 1646. In 1673 Armegot Papegoja needed money so badly that she sold the bell to another church. The people wanted their church bell. They worked for two harvest times to earn it back. The church on Tinicum was torn down in 1700 when a new church was built at Wicaco. This church, called Gloria Dei, is still standing. The bell that hangs in Gloria Dei church was cast in 1806. In it is the metal from the original bell that came from Sweden.